An inspirational Grandad will be cycling 100 miles to raise money for a charity that supported his son and daughter-in-law while their son was seriously ill in hospital. 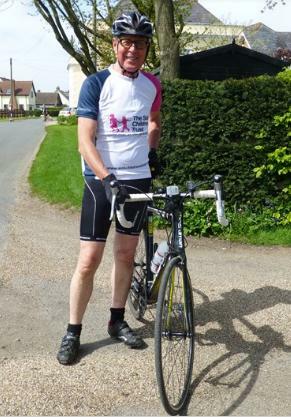 Simon Marchant, 70, from Suffolk, will be undertaking the Prudential RideLondon-Surrey 100 on Sunday 31 July, in a bid to raise money for The Sick Children’s Trust, a charity that provides free support and ‘Home from Home’ accommodation to the families of sick children. In January 2015, Simon’s two year old grandson Theo was diagnosed with aggressive cancer and has since been in and out of Great Ormond Street Hospital (GOSH) undergoing treatment. Theo’s parents Jeremy and Yvonne were able to stay just two minutes away from GOSH at The Sick Children’s Trust’s Guildford Street House, meaning they could be at Theo’s side at a moment’s notice. 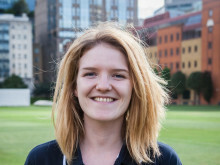 “When my son told me he would be racing to raise money for GOSH, I knew I also had to get involved. I saw first-hand the great difference being close to your child can make to their recovery, and this is possible because of The Sick Children’s Trust. The emotional support offered by the house is also invaluable, and makes an awful situation a little bit more bearable. 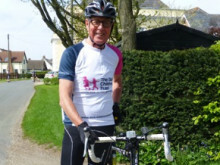 If you would like to support Simon, please visit https://www.justgiving.com/simonmarchant100miles.